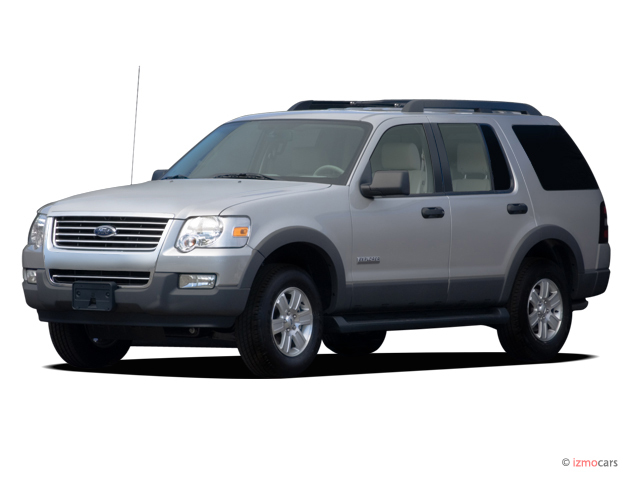 Since its debut in 1991, Ford has sold more than 5.5 million Explorers. So when Ford selected Lake Placid for its ride-and-drive Explorer debut for journalists because of the company’s sponsorship of the Ironman Triathlon Competition, recently held there, it didn’t come as a surprise. The Explorer’s been the ironman for the company, selling strongly for nearly 15 years and turning in hefty profits for the Dearborn-based automaker. 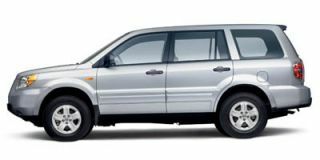 For 2006, Ford is revamping the Explorer, after totally reworking the mid-size ute in 2002 with a stiffer body and an independent rear suspension. The changes for 2006 are more geared toward refinement of the existing package — new front and rear styling, updated drivetrains, and a new interior — but do enough to keep the truck fresh even as Ford sets its SUV sights on the crossover market. This year, the Explorer offers up four trim levels — XLS, XLT, Eddie Bauer, and Limited — and two engine choices. 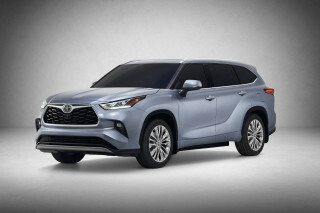 The first is an improved 4.0-liter SOHC V-6 that meets ULEV standards and puts out 210 horsepower and 254 pound-feet of torque. 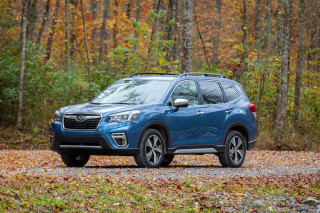 Mated to a five-speed automatic transmission, it can tow up to 5390 pounds, depending on whether it’s outfitted with rear- or four-wheel drive. The other engine choice is the three-valve 4.6-liter SOHC V-8 shared with the F-Series trucks. 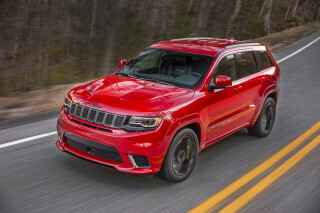 It delivers 292 horsepower (53 more than the two-valve V-8) and 300 lb-ft of torque. 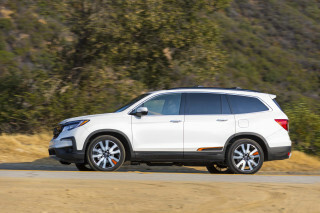 It comes with a six-speed automatic, and endows the Explorer with a towing capacity of 7300 pounds (too, it adds about 100 pounds more to the truck’s curb weight). As Ford’s own Freestyle has proven, crossover utes can provide nearly all the usable space of a bigger, truck-based SUV with easier in-and-out accessibility. But that doesn’t make this Explorer a total has-been. It’s easy to forget, behind the Explorer’s freeway-familiar shape, that it’s a pretty large vehicle that handles like something fairly small. And it still sports more room than most of the current generation of car-based utes. The available third-row seat, for example, is one of the few really usable third-rows out on the market, with its 34.9 inches of legroom. 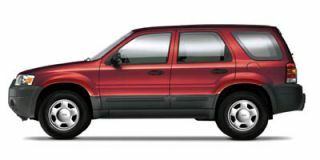 The flexibility that Ford bred into the Explorer in 2002 remains intact. Total cargo volume is 85.8 cubic feet, and available volume behind the third row is 13.6 cubic feet. The second- and third-row seats fold flat, in case you find yourself without kids and with some credit limit left at the grandfather-clock store. 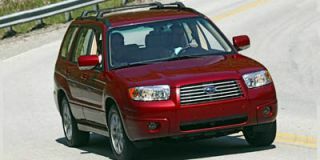 Ford spent some extra time reworking the seats on the ’06 model because, according to Chris Feuell, Ford’s SUV group marketing manager, Explorer owners on average commute 70 miles roundtrip every day. They also take longer trips that involve spending 300-500 miles on the road at a time fairly often. We can report that the driver’s area is definitely user-friendly. Gauges are clear and easily read, the available steering wheel-based controls are ergonomically friendly and functional and temperature vents are ideally placed. Noticeably absent was a bin for sunglasses. Even though the Explorer had a sunroof, no matter how much storage is within reach of the driver there’s still a need for a sunglasses holder. The center console, especially on upper trim levels, is solid, yet elegant-looking. There’s a large storage bin at your elbow, and behind the gearshift handle are the controls for the heater/air conditioner, audio system and higher up on the panel, an available DVD-based navigation system with a 6.5-inch LCD that’s twice as bright as competitive models. It’s one of the first systems in the industry able to announce upcoming street names, too. This year’s Explorer gets a new standard audio system, an AM/FM/CD unit with MP3 capability. 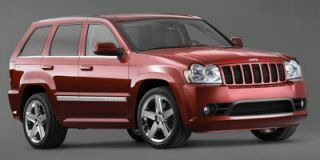 The upmarket option is an AM/FM stereo with a six-disc in-dash CD/MP3 player, cassette unit, and a Sirius satellite digital audio receiver system. And if there’s such a term as “safety runs rampant,” the Explorer is one of the few SUVs to really earn it. 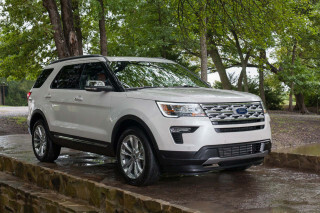 Ford reworked the entire safety package on the Explorer to include the latest multi-stage airbags, front-seat side airbags and AdvanceTrac stability control, on top of which, Ford has added its Roll Stability Control to keep the Explorer from pitching over in extreme accidents. Side curtain airbags are a new option. 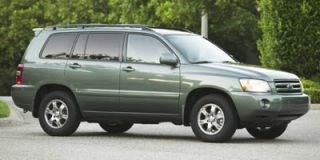 Braking has been enhanced with the standardization of four-wheel, four-channel anti-lock control. The second problem is created by increased side-body safety. The door grip is located awkwardly below the stylized arm rest/power window buttons, door lock and door opener. Because of the location of added safety beams and other safety-related items it wasn’t possible to put the door grips in their usual location. One may get used to them but their positioning caused considerable grumbling from my colleagues. Styling? Well, that’s your call. The previous edition had a sleek but anonymous smoothness. This Explorer seems to have gotten its jaw caught in a chroming machine. The end result, like it or not, is that it’s pretty clear now which Ford utes are truck-based and which are car-based by grille alone.